This is a rectangular Sherwin-Williams Sold Here porcelain sign. This particular Sherwin-Williams Sold Here sign is navy with white print. 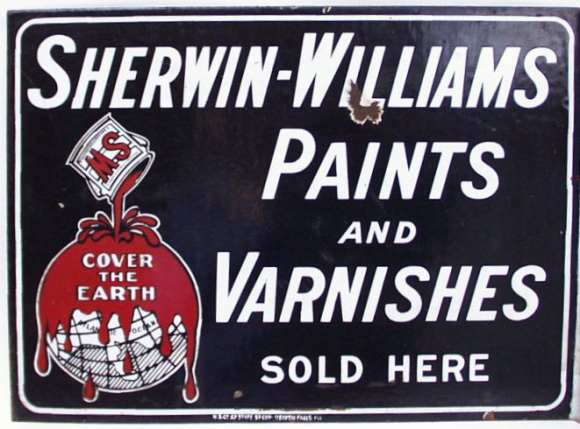 It reads, “Sherwin-Williams Paints and Varnishes Sold Here, Cover The Earth” and features a can of Sherwin-Williams red paint being poured over a globe in the lower left corner of the sign.